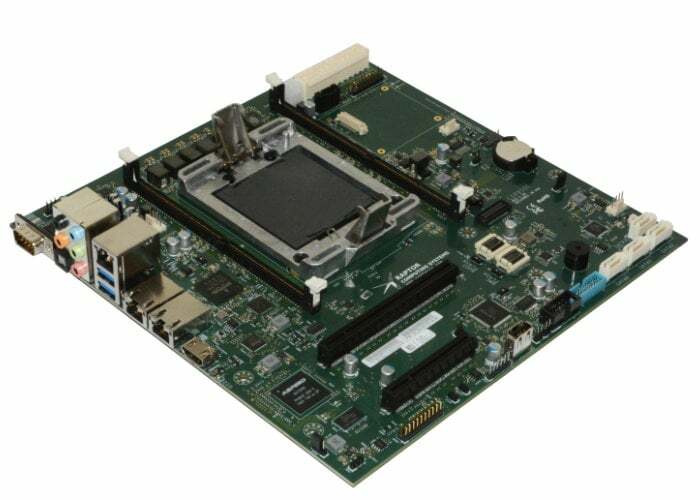 Expanding the very small market of motherboards that don’t use Intel or AMD x86, Raptor Engineering have just released a new motherboard in the form of the Blackbird designed for an IBM Power9 CPU. The new motherboard is priced at around $800 but you can also add in a four core CPU for $1200. The Blackbird mainboard features dual DDR4 ECC DIMM slots, one PCI Express 4.0 x16 slot, one PCI Express 4.0 x8 slot, dual Gigabit Ethernet ports, 4 x SATA 3.0 ports, 4 x USB 3.0 ports, 1 x USB 2.0 port, and an HDMI display output. Although the motherboard is still expensive in hardware terms the new motherboard offers a significant reduction in price from the $3700 motherboard previously released by Raptor Engineering. For more details, full specifications and pre-ordering options on purchasing options jump over to the official Raptor Engineering website.